Nine European teams secured a place for the Men’s U21 World Championship in Egypt this weekend. Europe has 12 places at the Men’s U21 World Championship in Egypt (IHF Event). 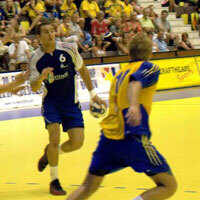 The Final Tournament will be played from 6 to 19 August 2009. For the match results and rankings of the M-U21 World Championship Qualification Europe, please click here.